Since Family-Based Treatment (often still called “Maudsley”) is the only eating disorders treatment that regards parents as experts on their children and considers “food as medicine” it has special interest to families. And, because FBT is the most studied and most effective treatment for younger eating disorder sufferers, families want to know more. Still, FBT is still hard to access, and trained clinicians are still rare among eating disorder treatment providers, so there are many questions despite the interest. Resistance to some of the ideas in FBT, and to the idea of a manualized psychotherapy approach, leaves many parents searching the internet for information they are not hearing from treatment providers and health systems. So, in the first of our specific treatment pages on our new website, here is our new page about Family-Based Treatment. And, since so many people ask us, an explanation of why calling it “Maudsley” is not quite accurate and less and less common! Thank you for sharing. This therapy saved our daughter. She still struggles some days and always will but thanks to this approach we know what to say to her when she goes in the rabbit hole. Yes! 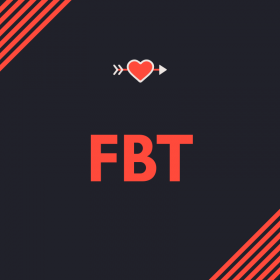 FBT saved my daughter’s life too! It was a very hard road but well worth it. The things I see still hanging on for others who went through other treatments and the lack of these things (like food fears) in the FBT way- is obvious.